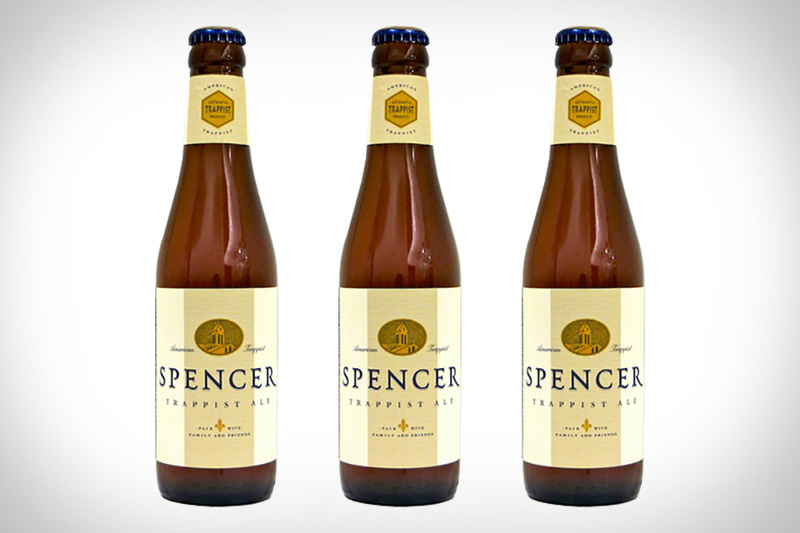 What most people know about Trappist Ale is that it is brewed by monks in Europe. The nine monasteries that brew the delicious beer are were all in Europe until monks at St. Joseph's Abbey in Massachusets threw their hat in the ring with Spencer Trappist Ale. What they came up with for America's first Trappist beer is a 6.5% Belgian style pale ale with some fruity, yeasty characteristics. And despite being new to brewing such a historically revered beer style, the monks have managed to make something that tastes like it could come straight from one of the well established European monasteries. The newest contender in the race for a great, sessionable pale ale comes from the folks at Monocacy Brewing in Frederick, Maryland and it's named H.L. Rex Pale Ale. This 3.7% brew is a perfect fit on a hot summer day, allowing plenty of repeated samples without the potential of a bad crash. What separates it from the growing number of session beers on the market is not only a great hop experience in aroma and taste, but also the attentive design that marks each bottle. Another worthy adversary as the dog days of summer roll on. You might not think of the phrase "fiesta in your glass" when it comes to beer, but that is exactly what the brewers at Terrapin Brewing had in mind when they created Guano Loco. This unique offering is a Chili Pepper Brownie Ale, giving you a rush of chocolaty sweetness with some cinnamon and mild chili pepper spice on the finish. Guano Loco means "batshit crazy", but Volume 23 in Terrapin's Side Project Series isn't as wacky as the name suggests. It is, however, one of the better chocolate, chili pepper beers we've tasted. It seems like the brewers at Prairie Artisan Ales in Oklahoma turn everything they touch into gold — including one of their latest creations, Funky Gold Mosaic. This sour ale is dry-hopped with loads of Mosaic hops — which is probably the hottest hop strand since Citra — making this tart, refreshing beer an incredibly unique offering. But it's the undeniable balance that really make this beer shine, as the fantastic hop aromas and sour bite mingle like friends at a summer backyard barbecue. Tired of hops yet? Yeah, we didn't think so. And when it comes to hopped up beers, it's tough to beat Beachwood Brewing. Greenshift Double IPA is the latest in a long line of hoppy, delicious beers to come out of their highly regarded brewery, and it might be the best. Brewed to celebrate their third anniversary, Greenshift has just about everything you'd want in a Double IPA, tons of hop varities, 10% ABV, and over 100 IBU as well. It's enough to make you pack up and head straight for the West Coast on a spontaneous vacation. Already well known for their stable of consistently great beers, Founders Brewing continues to impress with their Backstage Series as well, a limited edition release of something special. The latest Backstage release is Dissenter Imperial India Pale Lager, which just happens to be the first lager that Founders has brewed in twelve years. Dissenter may be a lager, but it isn't shy when it comes to hop influence, boasting a variety of citrus-forward hops and weighing in at 8.7% and 70 IBUs. You can find it in bottles starting on August 1st, but chances are it won't stick around very long. You might be familiar with The Alchemist Brewery thanks to their world class IPA, Heady Topper. It's known as one of the best in a crowded bunch, so imagine the excitement this year when The Alchemist announced they would be canning their second beer, Focal Banger. It's another IPA, and another fantastic brew, loaded with two of the most aromatic and flavorful hop varieties on the market today — Citra and Mosaic. Even if the hop choices don't matter to you, the fact that The Alchemist has another IPA in cans should be enough to sway you to drive to Vermont and search until you find a can.